What is Your Favorite Italian Cookbook? Even in the Digital Age I still love cookbooks, I know there are plenty of online recipes but I still like to leaf through a book. But this page is about you. Use the form below to share your opinion about the best Italian cookery book. What makes a good Italian Cookbook? There are a few criteria I look for Italian cook books. 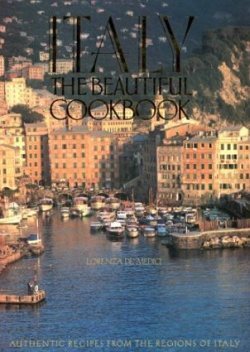 What is YOUR favourite Italian Cookbook? There are hundreds, even thousands of Italian Cookery books out there, but we all have a favorite. Please share your favorite cookbook or author with the readers of Italy Wine Food Pairing.